Price includes all applicable rebates to dealer. Not all will qualify. Must trade a 2005 or newer. Tax, title, registration and doc. fees are not included in vehicle prices. **With approved credit. Terms may vary. Monthly payments are only estimates derived from the vehicle price with a 42 month term 2.9% interest and 30% down payment. 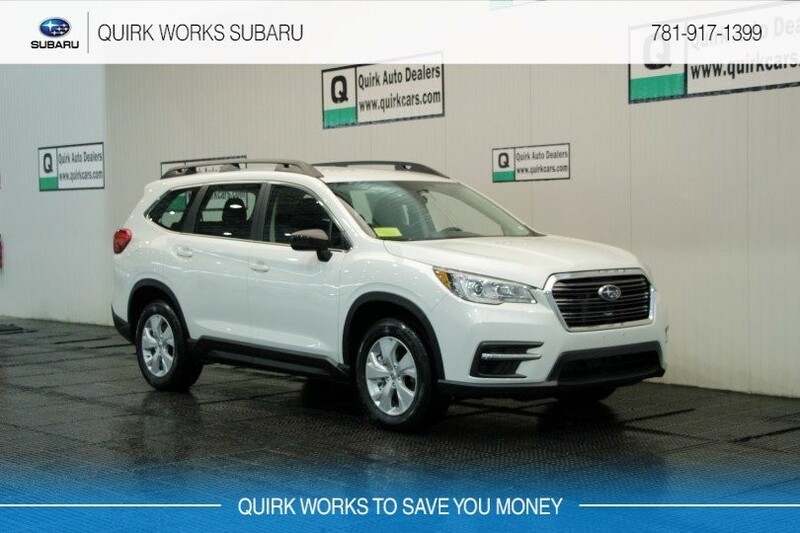 Please verify any information in question with Quirk Subaru by calling us at 781-917-1351 or by visiting us. all leases $2995 cash or trade down, 10k miles/yr., 1st payment, tax, title, acq. fee, reg., doc. additional. extra charges may apply at lease end. with qualified credit. see dealer for details. all transactions completed at time of sale. prior sales excluded. must take delivery from dealer stock. subject to program change without notice. $299 documentation fee not included in final price. $20 per $1,000 borrowed. Security deposit not required. By submitting you agree to our terms and conditions . stock #S16748. Residency restriction apply. sale ends 04-30-2019.